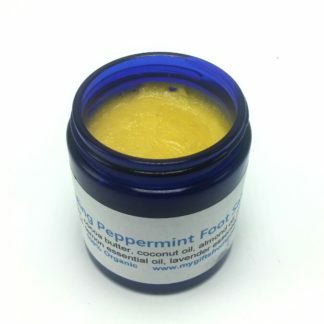 Healing Peppermint Foot Salve is for those with rough dry skin and/or callouses on their feet. It soothes dry skin wonderfully and heals rough cracked skin as well. Apply once or twice a day as needed. 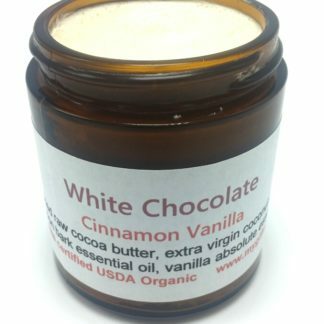 A blend of organic shea butter, organic mango butter, organic coconut oil, and organic sweet almond oil forms the base of this luxurious cream. Organic jojoba, has been added, along with the finest quality vitamin E, to penetrate deeply, soothe, and heal extra dry skin. And the pharmaceutical grade essential oils in this formula were selected especially for their healing benefits. 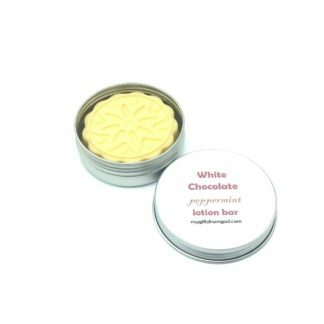 Cocoa butter is an excellent skin moisturizer because it prevents dry cracked skin, has a silky feel, is a natural antioxidant, is excellent in fighting signs of aging, and even soothes burns, rashes, and infection. 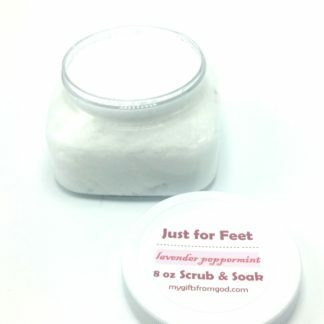 it’s rich emollients are perfect for dry feet and elbows. Coconut oil nourishes the skin surface. It is naturally antibacterial, anti-fungal, moisturizing and great for atopic dermatitis. Beeswax gives this salve real staying power and adds even more moisturizing ability. Additional vitamin E oil for it’s amazing anti-aging effects and to help your skin‘s ability to retain it’s natural moisture. 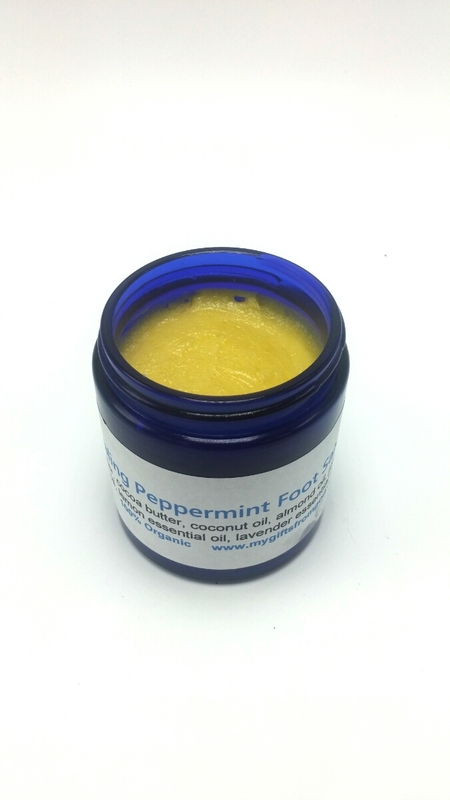 Peppermint essential oil has antiviral, antimicrobial, anti-fungal, and analgesic properties. Lemon essential oil has mild exfoliation properties to help remove dry skin. It relieves inflammation, and promotes healthy circulation. Lavender essential oil has all of the benefits of peppermint and lemon, and also serves as a detoxifier. Tea Tree essential oil is well known for being antifungal, antibacterial, antiseptic, and antiviral, making it perfect to treat common foot problems like athletes foot. 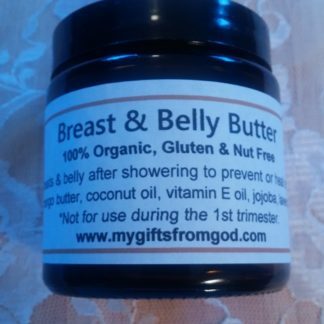 Ingredients: Organic shea butter, organic cocoa butter, organic sweet almond oil, organic coconut oil, organic jojoba, organic beeswax, organic vitamin E oil, peppermint essential oil, lemon essential oil, lavender essential oil, tea tree essential oil. Comes in a beautiful 4 oz glass jar, designed to protect fragile essential oils. Please note: If shipped during very warm weather, whipped butters may soften or melt. 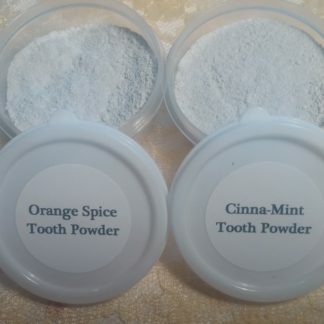 To restore product, cool at room temperature overnight or refrigerate for an hour or so. My feet were so dry that my wife complained about them all the time. I heard about this healing foot cream from a friend and decided to give it a try. My feet are getting better and my wife is happy. It smells good too.